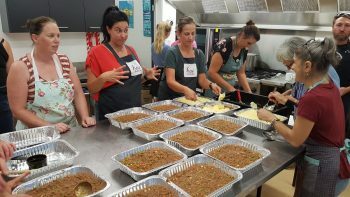 Volunteers are undoubtedly the glue that holds New Zealand together, and this is clearly evident in times of crisis like the current Nelson Tasman Fire Emergency that has been ongoing for over a week and the Christchurch and Kaikoura earthquakes that shook New Zealanders not so long ago. Without volunteers – people who give willingly of their time, energy and resources, and many over and above their paid livelihoods, New Zealand would not be the country it is today, for its residents and as a respected global nation. According to Gallup’s World View Poll of 150,000 people in over 146 countries, New Zealand is the third most generous country in the world and has remained in the top 5 since the Poll began 9 years ago. One of our Volunteer Nelson team members had the opportunity to chat to some of the volunteer organisations at the forefront of the Nelson Tasman fire support operation today and hear about some of the amazing effort everyday people are providing. When natural crises like this happen, we are often unaware of the scale of effect it has on people’s lives. Some very easily put themselves in others’ shoes and jump straight into action to help. Like Margaret Goff, a cleaner at the Suburbs Football Clubrooms, Saxton, Stoke. She immediately suggested the club be set up as a community hub to prepare food for the fire fighters. Since then, many people from the community have poured in to help prepare and distribute food, drop off donated goods, give emotional support where needed or make tea. This community-driven effort is ongoing at Saxton while Nelson Tasman Civil Defence has moved their official site to the New Life Centre in Richmond. This morning, as Nelson Tasman Civil Defence settled in to their new spot, agencies assisting effort started to move across to the centre. Volunteer Nelson had a quick opportunity to chat to Jenny Leith who volunteers as a supervisor for Civil Defence over and above her usual job as a self-employed mediator and arbitrator. Jenny said how amazed she has been at the pulling together of so many volunteers and volunteer agencies across New Zealand –not just the Nelson Tasman region – Red Cross NZ and Civil Defence services from Upper Moutere, Marahau, Tapawera, Northland, West Coast, Dunedin, Otago and Marlborough to name just a few. 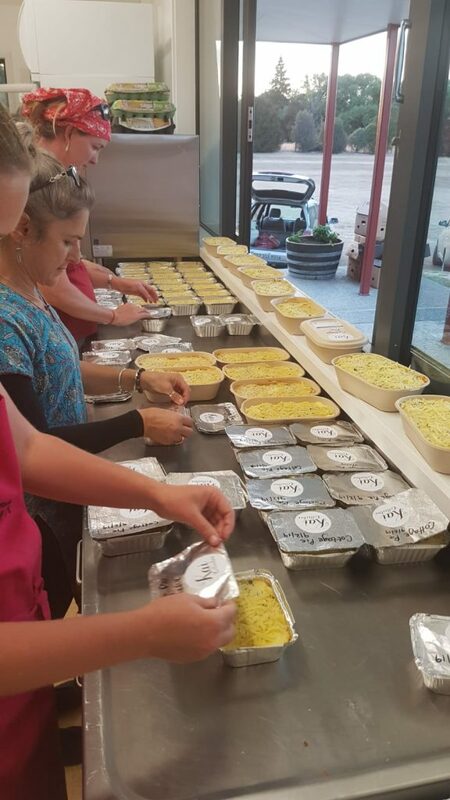 “As a volunteer myself, that has been an amazing thing to witness – the outpouring of food, clothing, and offers of help!” says Jenny. Volunteer Nelson also had the privilege of speaking to a further two groups already settled and seeing to people at the New Life Centre this morning. 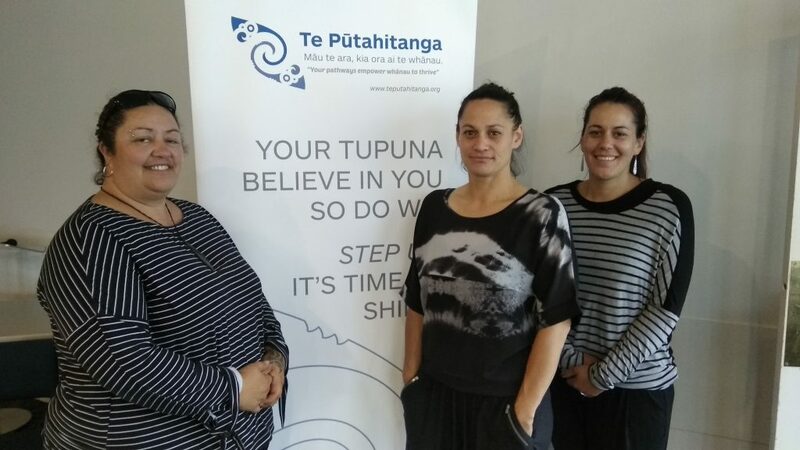 Serena Lyders who is navigator manukura (up from Invercargill), Ripeka Hook and Megan Hadfield (both from Maata Waaka Ki Te Tau Ihu, Blenheim) are Whanau Ora navigators representing the Whānau Ora commissioning entity– Te Pūtahitanga o Te Waipounamu – a legal partnership of Nga Iwi o Te Waipounamu, the nine iwi of the South Island (one in the South and 8 in the Top of the South). The agency supports and enables whānau to create sustained social impact and build capability, including amongst other things, emergency preparedness and disaster recovery in times of crisis. > “The iwi wanted to have people on site to support anybody in need during this time, to listen and be a comforting ear and assist with understanding how the Marae operates and how it can assist them during this time,” says Serena. > The group has specifically been helping with accommodation, fuel and food vouchers, animal welfare and liaising with the Whakatu Marae. Over Friday and Saturday, they helped place a large number of animals at the Richmond A&P showgrounds for families evacuating the Fire zone area. The Marae has also been supported by Comida in Buxton Square who have been sending pizzas over to people during this time. The second group, Volunteer Nelson managed to speak to while Civil Defence spoke with Red Cross and others coming in to provide support, was BUWT who provide support to people to access their work and income entitlements. Rachel Boyack explained that many people have been affected in other ways – like not having income, or are being pressured by their employers to go to work even though they are not well enough to do so. “BUWT is taking the pressure off by connecting people with Work and Income Support and providing legal advice. It is important for people to know that they don’t have to be WINS beneficiaries to get support,” says Rachel. BUWT is a small 30 year-old grassroots organisation run by a small number of paid staff and volunteers doing quiet behind the scenes work to advocate for people to receive their income and legal entitlements. “Many of the people we are helping during the fire crisis, were already at tipping point in their personal circumstances and hadn’t yet asked for help. The fire has added to their struggles, but ironically brought them to the very support they need. As they spoke of their needs we were able to deal immediately with their challenges with a direct telephone line into WINS as we spoke to them. We are glad we have been able to help them,” adds Rachel who says that there is a dedicated hotline at WINS for people affected by the Nelson Tasman fires specifically. The helpline number – 0800 779997 – is open from 7am until 8pm. Volunteer Nelson is aware that there are many, many more organisations and individuals from our local and wider NZ communities that have helped in so many ways, and still continue to do so – some just quietly dropping off food, clothing, bedding; some babysitting small children, entertaining them, volunteer teams making or delivering packaged food and other items and those who have generously and quietly given money to buy supplies. We thank you all and know that many more beside us are grateful for your thoughts, support and effort. We salute you. It is you who make NZ the great, strong nation that it is. For more stories on the volunteer effort, look out in your local news – radio, tv, news apps and papers. There are stories from every corner. Today we were further inspired by Radio NZ’s Checkpoint story broadcast on Sunday 10 February. You can listen to it here. The Social Security Act 2018 comes into effect on 26 November.